Starting advertising on Facebook is relatively easy. But it’s always better to prepare things in advance to make things smoother. Facebook’s advertising system is thoroughly developed and you can choose from multiple ad formats. The format should be well-fitted to your goals. If you need help, Facebook is always giving you tips and guidelines on choosing the right one. But to set your ads on Facebook, you need to have a Fanpage first. Of course, your Fanpage needs to be filled in, up-to-date, and be making posts (more on creating Fanpage here and here). Every ad will contain a clickable name of your Fanpage, which will drive users to your page. When you decide on the format of your ads (more on formats here), start to collect texts and images for them. Ads should be eye-catching, interesting, and should contain a clear call-to-action. Users like to know what will happen after clicking your ad – make sure that this is clear to them. Depending on the size of your campaign, you should start with at least a few different creatives. But be ready to update them or change them completely if the first batch under performs. Page Likes. When you want to build your Fanpage and gather new fans. Page Post Engagement. When you want to engage people with your posts. Click to Website. When you want to drive people to your landing page. Website Conversions. If your main goal is conversions, this is the option to choose. App Installs. When you’re promoting an app and you want people to install it. App Engagement. When you’re targeting people who have your app and you want them to engage more/again. Offer Claims. When you have a special offer and you want people to promote it. Local Awareness. When you want to target users near your business (please note that this may not be available in all countries). Event Responses. When you’re promoting an event. Video Views. When you want to engage people with your video content. Depending on your goals, your type of promoted product, and your type of business, you need to decide who you want to target with your ads. On top of your country/city, you can add other conditions such as age, gender, interests, marital status, education, or even their local area. See here [LINK] for all the available options and specify who you want to reach. When you’re planning your first campaign on Facebook, it can be hard deciding how much you should spend. Every time-cost will vary based on the goals of your campaign, model of bidding, size of an audience that you want to target, competition in specific period of time (for example ads around Christmas time will be most expensive) etc. Facebook estimates the average cost while you’re setting your targeting in Ad Manager or Power Editor. If you can’t run a test campaign, we recommend relying on those estimations. But remember that it’s only an approximate value and the final cost can be different. 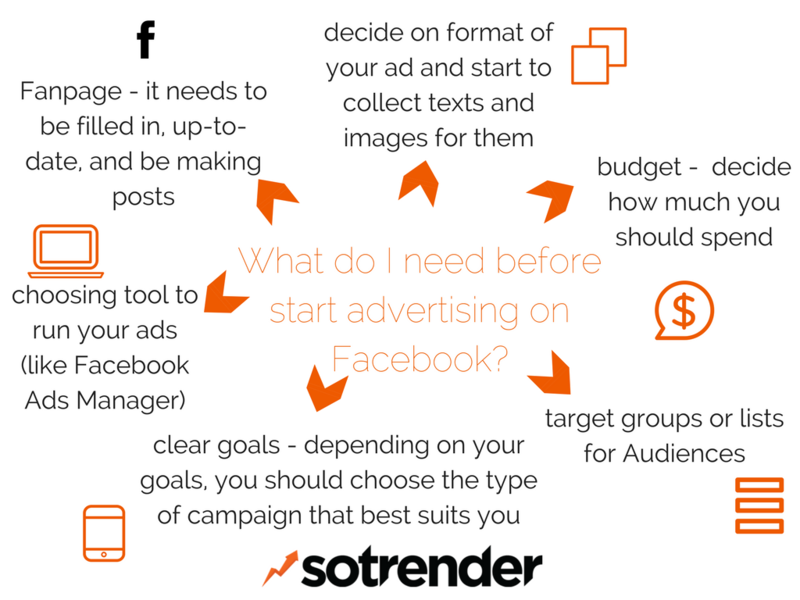 There are a few different ways to start advertising on Facebook. If you want to manage campaigns on your own, the best option is to use Facebook Ads Manager. 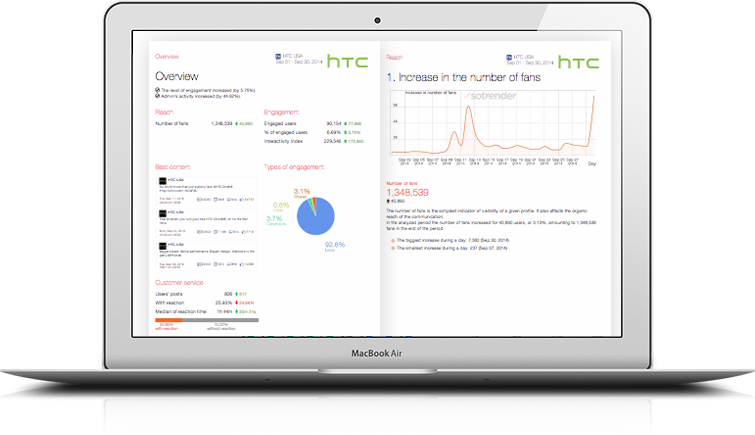 This is Facebook’s own tool, which is free and will charge you only for cost of ads. For credit card make sure to prepare all your standard details. After preparing these important elements, you will be ready to go live with your first Facebook ads campaign. What formats of ads can I use on Facebook?